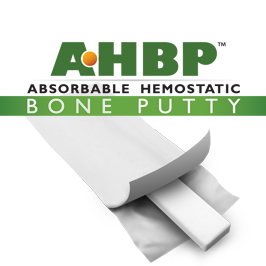 HEMASORBPLUS is the only non-settable and resorbable hemostatic bone putty with calcium phosphate and Vitamin E Acetate. 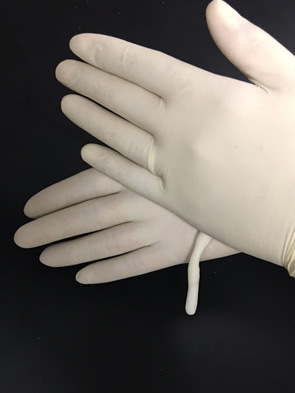 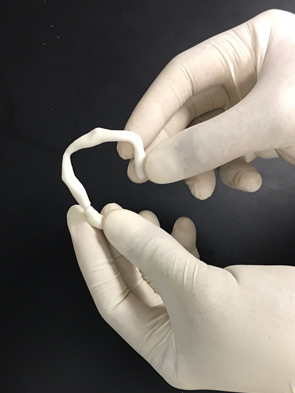 HEMASORBPLUS Bone Putty has been cleared for use in a 1:1 (50%:50% by volume) ratio with autograft. 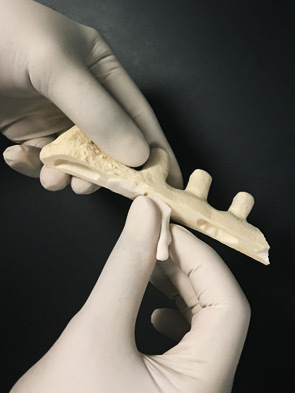 By mixing HEMASORBPLUS with autograft, only half the bone graft needed for a given procedure must be harvested, thus potentially reducing operative time and patient trauma. 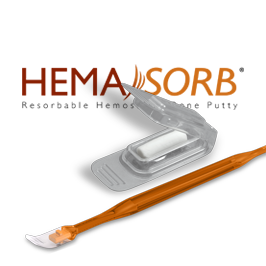 HEMASORBPLUS is offered in a putty-like consistency and is ready-to-use without requiring kneading or warming. 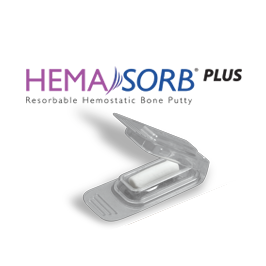 HEMASORBPLUS is spreadable onto bleeding bone surfaces and controls bleeding via mechanical tamponade. 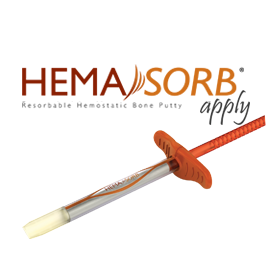 Following application to bone, HEMASORBPLUS remains in place and fully resorbs during the bone remodeling process. 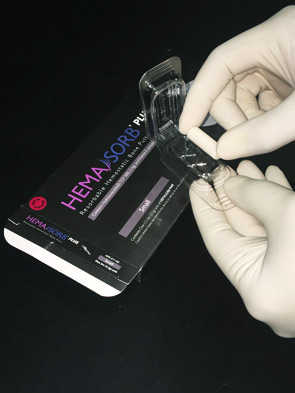 HEMASORBPLUS will be available soon on a surgical mesh for ease-of-delivery to various bone surfaces.